Are you a teacher or have an interest in teaching or unionism? You might know about the event in this photograph and have even been part of it! You can read more in our post and click the button for our order form. Each season, we send our community an email with the latest news and information from our office. This was a fabulous oral history project that resulted in oral history stories, Witness Seminars, individual interviews, a website and a Commendation in Oral History Victoria’s 2016 Community Innovation Awards. 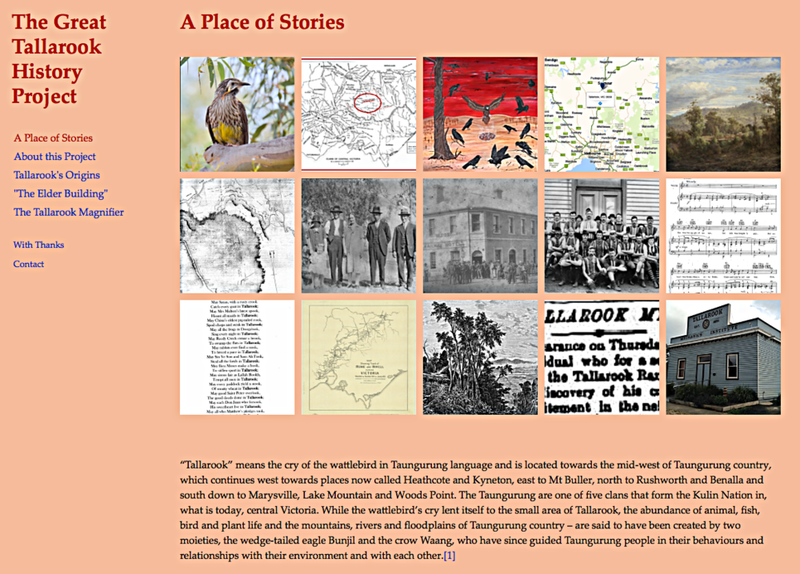 Another lovely community project, but this time with the Tallarook Primary School who’s students were keen to explore the history of their community and their Tallarook Mechanics Institute, of which they had been the longest and most consistent users of the hall since it was established in 1891. This piece of audio, less than 10 minutes long, shows how oral history from the past can be effectively used to live the experiences of people we can no longer talk to. Although I never met any of these people I began to get a glimpse of an Australian culture that hardly exists today, just through listening to their voices and words. Click the button to read more about this project and to hear these experiences that lived with the speakers for the rest of their lives and which, because war is fought so differently in the 21st century, we will never know the likes of again.